Many people don't explore all of the personal settings in their Flickr photo sharing account, and end up using the default controls. But with a little customization, I think you can improve your Flickr experience. I mentioned to a friend of mine who doesn't work on a Mac that I was editing my first movie in Final Cut Pro X. He said, "Oh that's the one everybody is complaining about, isn't it?" I replied, "Yeah, that's the one." It's interesting to read such emotional reactions to what I consider a great software release. I'm guessing that I love Final Cut X (pronounced "10") for the same reasons that many hate it. You see, I never could warm up to Final Cut in the past. I tried, but I despised it. Same goes for Final Cut Express. I kept thinking to myself, why did they make it so hard to use?" After about an hour in the new Final Cut Pro X, I was thinking more about my movie than operating the software. Click on image for larger size. The situation grew worse as more of my clients wanted video as part of the deliverable. "I'm a photographer," I thought to myself. So I would work within the limitations of iMovie and sometimes use Aperture for those short postings on YouTube and Vimeo that everyone was requesting. Then, along came Final Cut Pro X. Within an hour I was becoming comfortable. 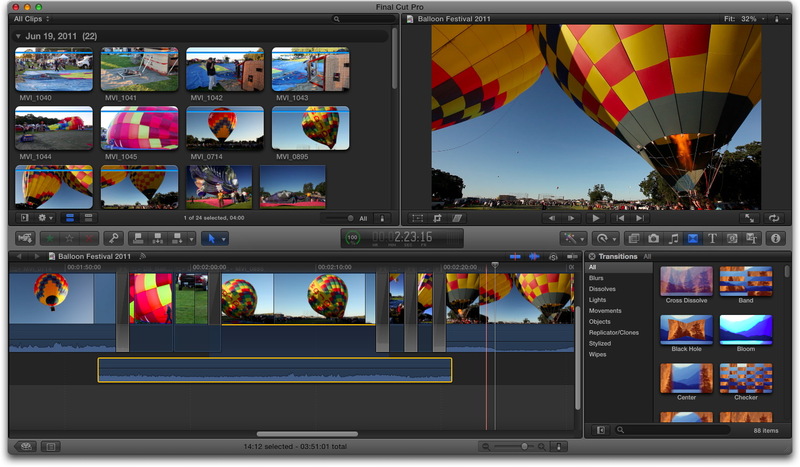 My iMovie and Aperture experiences were actually helping me in this new version of Final Cut. But I could do so much more. And it ran beautifully on my 13" MacBook Air. 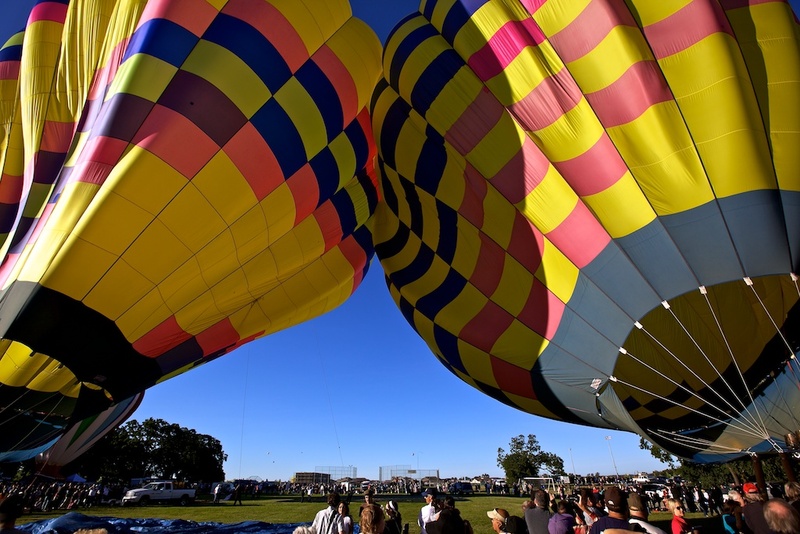 My first project is telling the story of the recent Sonoma County Hot Air Balloon Classic that was part of our June TDS Photography Workshop in Northern CA. I had a mixture of still images and HD video captured with my Canon 5D Mark II. I imported the video into Final Cut Pro X, then when I needed a still image, I would use the Photos Browser to look into my Aperture Library, and drag an image right in to the timeline. Once there, I used the Crop tool to fit to 16:9 or to add a Ken Burns effect. I could then move over to a video clip, double-click on it in the timeline to break out the audio track, and drag the audio over the still images. So professional. So easy. Same goes for transitions, titles, and sound effects. Easy. I can understand why long time users of Final Cut are thrown off-balance by this latest release. It's so different. But I think most of what they need is actually in there, and the rest will follow soon. As for the rest of us, photographers who need to produce video that looks as good as their stills. Final Cut Pro X is the blessing I've been waiting for. I'll talk more about this during Tuesday's TDS podcast. The video, Hot Air, is now available on YouTube. I can't wait to start working on my next project. The second gallery of TDS Member Photo of the Day images is now complete and ready for viewing. Each photo includes commentary by me discussing why I think the image is inspiring. 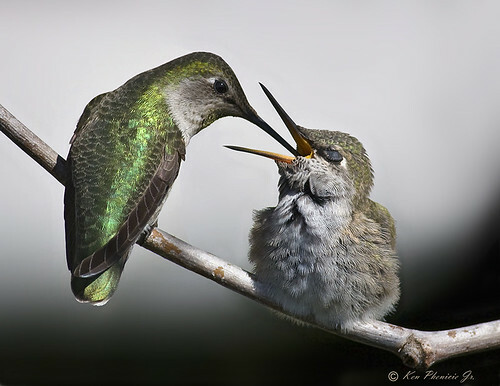 Featured photo, "Anna's Humingbirds" by TDS Member Ken Phenicie Jr. Click on the image to learn more about Ken and his work. I have an LED flashlight in my camera bag, and you probably do too. Recently I read an article titled LED Flashlight Used as a Key Light that reminded me that these devices are good for more than finding lost items in the bottom of a backpack. 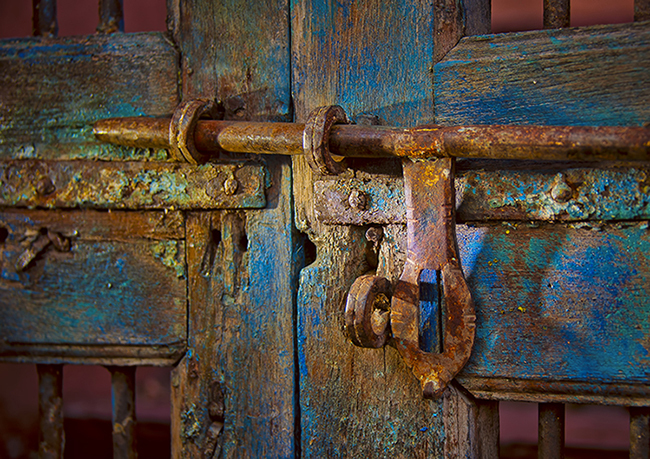 Photographer Doug Kaye wanted to enhance the texture and color of corroded latch on a weathered door in Santa Fe, New Mexico. "By using a small handheld LED flashlight as a key light and underexposing by -2 EV (aperture priority), I was able to get rich saturation in the upper midtones and full detail in the highlights while giving up the shadows," writes Doug in the article. He liked the result and decided to make a 24x17 SizzlPix of the image. I had the chance to talk with Doug about this a few days later at the TDS June Photography Workshop. He said, "I should have made it bigger." Carrying a LED flashlight doesn't take up much room, but it has a variety of uses in the field... including serving as a key light for a memorable image. 3am and the iPhone is ringing. It's not a wrong number, but the alarm clock. What about Fathers' Day? 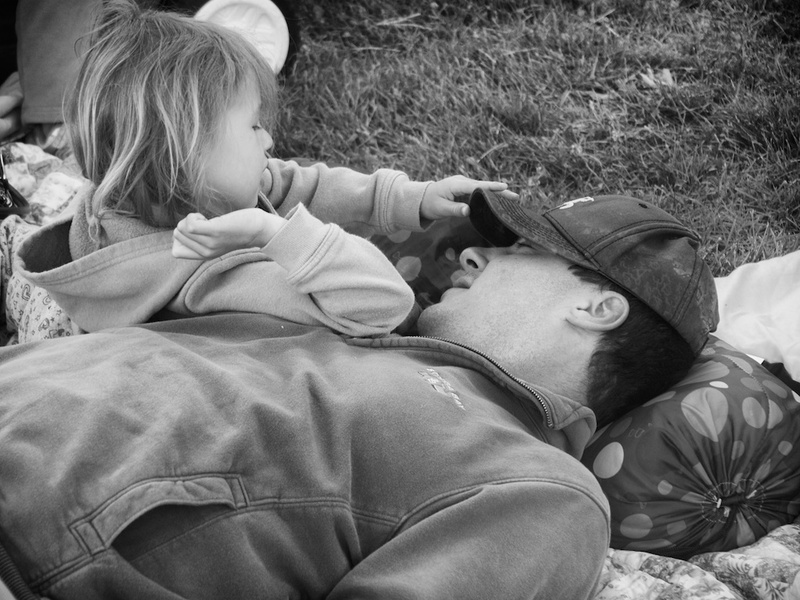 Shouldn't the dads among us be allowed to sleep in just this one day of the year? "Lift Off" by Aaron Hockley. 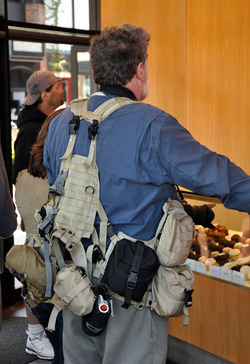 To see the complete set of images, go to the TDS Flickr page. No such luck. 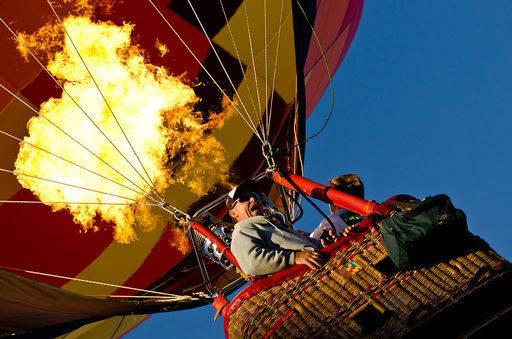 It's day two of Derrick Story's TDS Balloon Festival Workshop in Santa Rosa, California, and that means we're up for Dawn Patrol - the pre-sunrise launch at the Sonoma County Hot Air Balloon Classic. We eight photographers rendezvous at a local parking lot and get to Keiser Park with all our gear just barely in time for Act I, the choreographed inflation, takeoff and departure of the first four balloons. "Heat Wave" by Conrado Gonzalez.To see the complete set of images, go to the TDS Flickr page. As the sun continued to rise, another dozen balloons were spread onto huge tarps, attached to their baskets, inflated and launched. The crews were remarkably willing to let us get in close to shoot - close enough to feel the heat from the propane burners as the pilots filled the balloons with hot air. After the first round cleared the launch area, and then another, a third group readied for takeoff. But by then the winds had picked up. It didn't take much for the balloons to become real handfuls and for their crews to finally keep us a bit farther away as they wrestled with their unpredictable behemoths. Finally, around 8am, all of the remaining pilots decided it was too windy, and repacked the balloons and baskets into their trailers. Even the tethered balloon rides for the day were canceled. "Daddy Wake Up" by Rohith Thumati. To see the complete set of images, go to the TDS Flickr page. With a few hundred shots apiece, we headed back to Derrick's studio/classroom for post-production, peer review and breakfast pizza. Yet another perfect workshop weekend. Article by Doug Kaye. To see the complete set of images, go to the TDS Flickr page. If you'd like to join us for the TDS Fall Photography Workshop (Oct. 15-16), send me email requesting to be placed on the reserved list. I'll get right back to you. 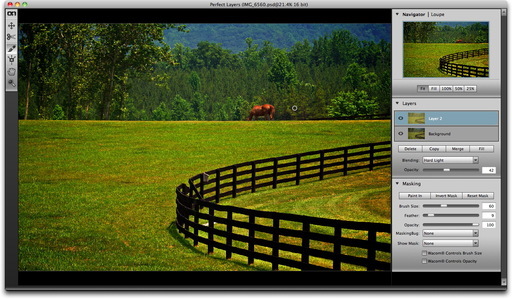 onOne Software announced today the availability of Perfect Layers for Aperture and Lightroom at a special intro price of $99.95. I loaded up this plug-in into Aperture 3 on my MacBook Air to take it for a quick test drive. After installation, Perfect Layers is available via Photos > Edit with Plug-in. It takes a few seconds to create the Photoshop file and present it to you in a new window. You can select one file, or multiple images to open in Perfect Layers. Once there, you have a streamlined, but very capable version of the layers functionality that was originally created by Adobe for Photoshop. If you're working with a single image, the first thing you'll want to do is copy it to create a new layer. Then you can play with blending modes and painting to create the effect you want. I wanted to add a little punch to this countryside shot from Virginia. So I used the Hard Light blending mode, then "painted out" the effect on the horse. That allowed me to pump up the landscape without overdoing it on the main subject. 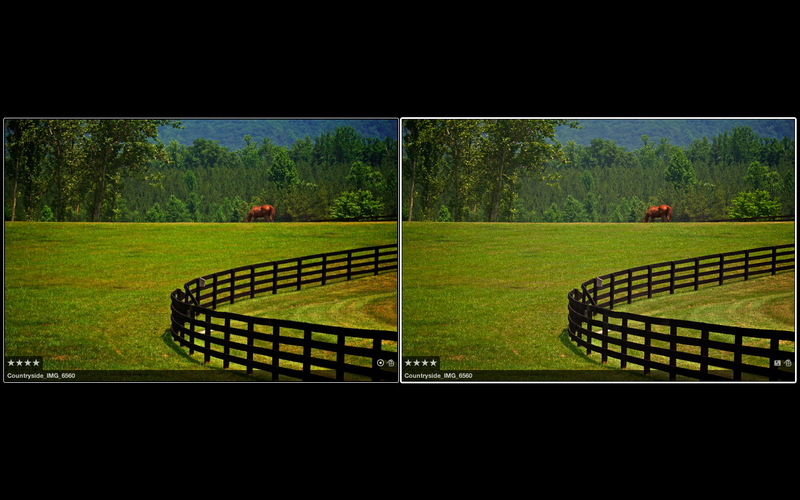 Side by side comparison in my Aperture library. The Perfect Layers version is on the left. Working in Perfect Layers is fairly intuitive if you've worked in Photoshop. If not, you might want to spend some time in the How To section on the onOne site. That should get you up to speed quickly. Performance was OK, but the plug-in did seem to tax my MacBook Air, which usually handles my photography apps quite well. I also think onOne needs to add a "Save" and "Cancel" buttons to the interface. Once you're finished with the work, your only options are to go to the menu, or just close the window and wait for the dialog box that asks you if you want to save. Seems like an overlooked detail to me. 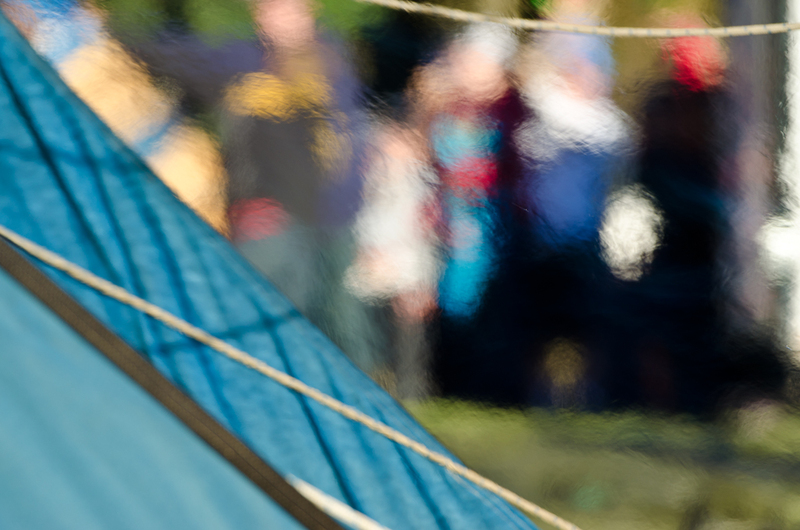 Perfect Layers isn't for you're everyday photos. This plug-in is for those special shots that you want to get just right, or for building composite images. You pay the typical round tripping price when you use this app. My original horse shot is 27 MBs in the Aperture library. The Perfect Layers version is 411 MBs. As I always say in my workshops, you want to use the native Aperture tools as much as possible, and save plug-ins for only when you need them. For photographers who don't want to make the full investment for Photoshop CS5 but wants the ability to work with layers in Lightroom or Aperture, Perfect Layers represents an alternative. Keep in mind that Photoshop Elements also has layers capability, however. You can roundtrip from Aperture to CS5 or Elements, or use a plug-in. It really depends on which tool you like the best. 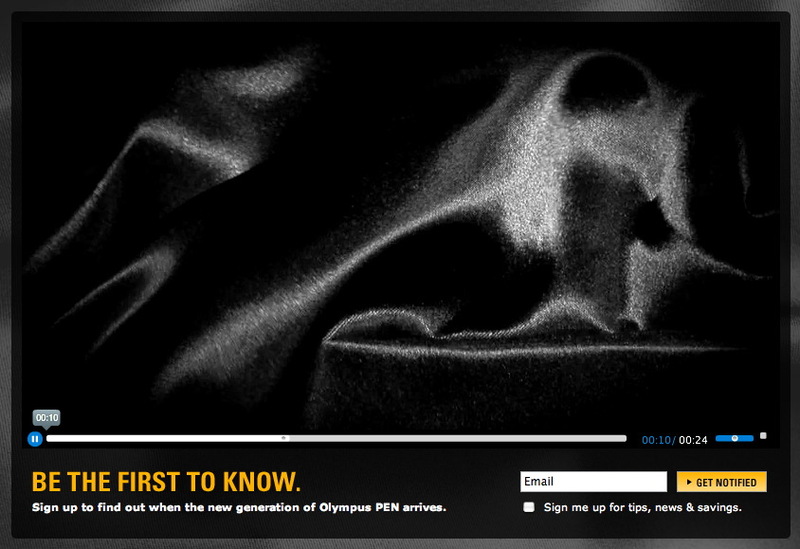 And since there is a 30-day free trial of Perfect Layers, you might want to give it a look. For the time being, I'm going to continue to test Perfect Layers in Aperture. I like the interface and the convenience. And I'm curious to see how often I choose this tool over the other options. I'll keep you posted. Do you know who shot the last spool of Kodachrome that rolled off the production line? Steve McCurry ("Afghan Girl") had the honor, and he shared the images on that final roll of "chrome" at the LOOK3 Festival of the Photograph last week in Charlottesville, Virginia. During the same week, legend art photographer, Nan Goldin, emerged from her apartment in Paris to share the stage with Sally Mann, then go to the Second Street Gallery in Charlottesville for a marathon book signing. These are just a few of the scenes from this short movie shot on location at LOOK3. If you want to watch the HD version, then click through to the YouTube site where it's available at 720p. Technically speaking, the video footage was captured with a Canon 60D with the Canon 15-85mm EF-S zoom for most of the scenes, except for the final interview with National Geographic photographer, Alison Wright, where I used the Sigma 50mm f/1.4 to soften the background a bit. Audio with recorded with the Rode VideoMic Pro shotgun mic. I used the Canon 320EX flash/video light for light fill on some of the images. The movie was edited in Aperture 3. No other post production tools were used, except for QuickTime 7 to extract the audio track from a video interview and use it as the voiceover in this movie. Here's a helpful article about working with audio in Aperture 3.